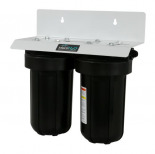 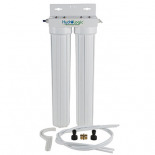 Designed to flow 8.5 gallons per hour of pure RO water, with an astounding 2:1 ratio—High flow rates and water savings never before seen in a package so affordable and durable. 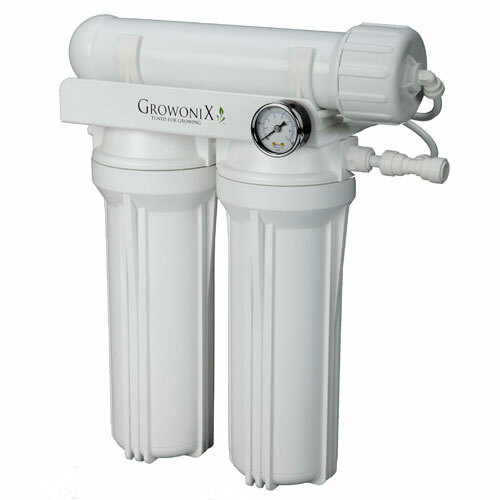 Utilizing the most efficient membrane technology in the world, built with dual o-ring fittings, and equipped with a steel pressure gauge. 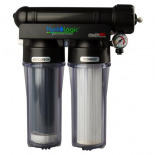 For those who demand even more performance, the EX200HF can be used with a booster pump, raising the system pressure to 80psi, increasing the gallon per day output. 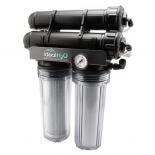 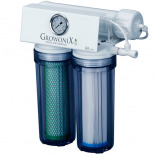 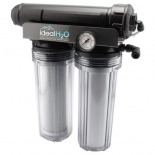 Most Viewed in Water Filtration, Reverse Osmosis (RO) Systems, etc. 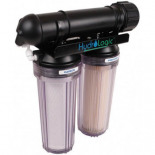 HYDRO-LOGIC TALL BOY/BLUE CARBON FILTER - 20"